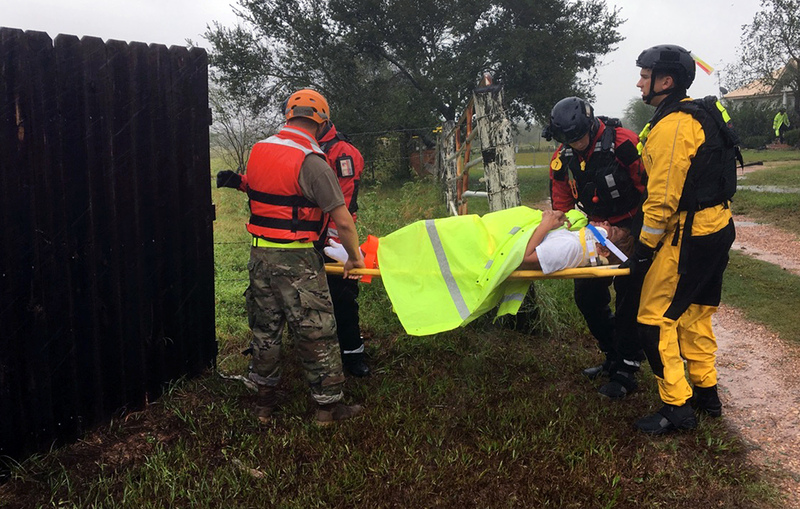 As the rain continues to fall in south Texas, every available soldier in the Texas National Guard’s 12,000-strong force, and thousands of troops from National Guard units in several states, have been mobilized from Corpus Christie to Houston in response to the Hurricane Harvey disaster. Joined by troops from the Texas State Guard and members of the U.S. military’s other services, the Army National Guard soldiers are part of the effort to locate and rescue citizens; deliver food, water and medical supplies; and provide resources and equipment in the effort to contain some of the damage. A dual status command was established by Texas Gov. Greg Abbott, placing state and federal forces under a single commander. “As of now, all Guard personnel providing assistance are on Title 32, or state, orders. Active-duty units are en route to the staging area in anticipation of a possible request. There has been no formal tasking [yet] of Title 10 DoD units,” Army Col. Robert Manning said at a Defense Department briefing. 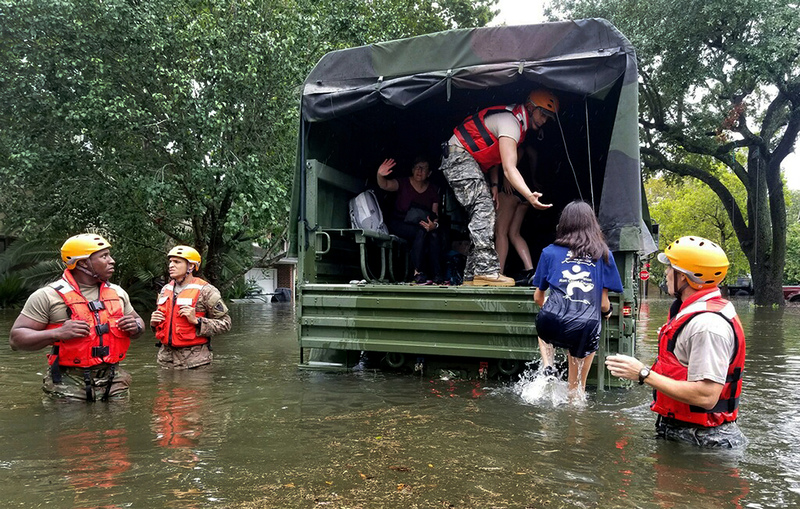 As of Aug. 29, Texas National Guard soldiers had evacuated or rescued more than 4,000 people and 275 animals through aerial hoist and ground missions. DoD has pre-positioned troops, search and rescue units, aircraft, vehicles, equipment and supplies in staging areas close to the worst flooding in case there is a request for assistance, and Fort Hood, located about 180 miles northwest of Houston, was designated as a Federal Emergency Management Agency staging area. 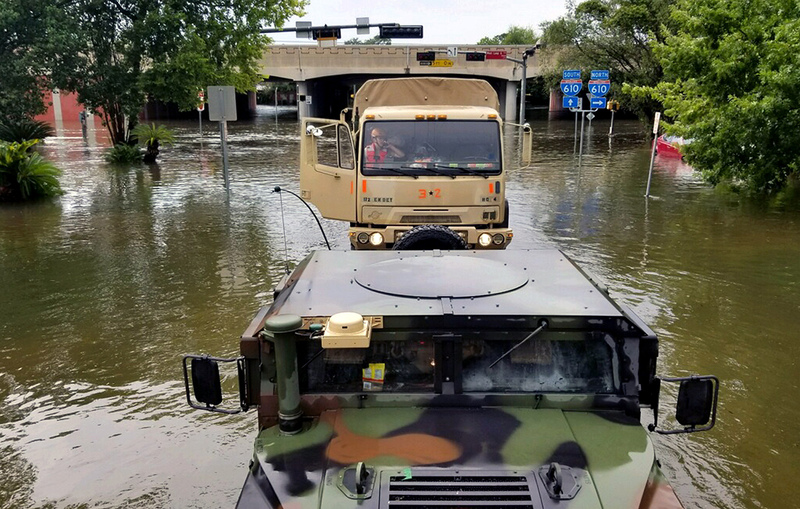 The Texas National Guard’s armories are fully mobilized with about 200 Humvees, 218 high-water vehicles, 15 wreckers and 19 fuelers. Sixteen aircraft are operating around the clock, comprising 10 UH-60 Black Hawk helicopters, four UH-72 Lakota multimission helicopters and two CH-47 Chinook cargo helicopters.